A reminder to check out SoundCloud where Big Finish have now uploaded six free stories which can be found here. 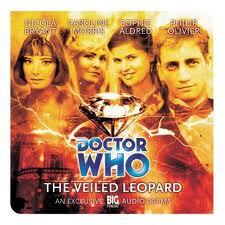 Recently uploaded is The Veiled Leopard a tale featuring Peri, Erimem, Ace and Hex all in Monte Carlo in 1966. Why not have a listen and tell me what you think?